1. I looked over the information on your website about taking all of these different vitamins and things for Dupy, and it makes sense to me. But if I do all that you are talking about, how will I know which one is responsible for doing me the most good? You know, they all can’t be doing the same amount of good. A lot of people have that question at the start of care, especially when they are trying to save some money; they want to use only what they really need. That makes a lot of sense. We agree, all of the products you use and things you do will not contribute equally to your success. But, there is no way to determine which of a particular group of products that is getting satisfactory results is doing the most good. You might want to consider how you are looking at your proposed treatment plan. You are probably looking at the 4-5-6 different therapies you would like to use, as separate efforts or workers that you hope will do you some good for your hand contracture. Try looking at those same therapies as a group or combination effort to get your recovery going. It’s almost like combining a group of different musical instruments together to form an orchestra: Different instruments have different sounds, and when combined, they will produce a different total “sound” as an end result. That is why different musical groups have different appeal to your ear. If you get a good end result with a band or group of different musical instruments, you cannot ask, “How will I know which one, more than all others, is most responsible for the total effect?” Because, taken together, they are all responsible for the total effect that you are getting. If you take just one instrument away, the end result will be different. Your concern about economy and not being wasteful is understandable. Everyone who starts this kind of treatment program has some concern about money. Our concern is more about presenting you with information that will get you the best results for your Dupuytrens contracture. We cannot address your financial issues, only your concern for getting your hand as close to normal as possible. As we have answered in another part of the Dupuytren contracture treatment website, “there will be no one therapy that will ‘tip your scale’ to help regain your health more than the others” . All of the therapies you use contribute in some way to whatever level of success you achieve – perhaps some more and some less – but all are needed to get the job done. This underscores the value and importance of working with a wide and diversified group of therapies that stand the best chance of improving your recovery and immune response. 2. In a few of the forums I have read that some people have helped their Dupuytren cords by just rubbing some vitamin E on them. Why should I bother doing all that other stuff, when I can just use vitamin E on my hand? There are some people who get some improvement with just vitamin E. However, neither you nor I know ahead of time if you are going to be one of them. After communicating further with people who noticed some improvement of their Dupuytrens nodule or cords, we find that the results are only partial and only continue for as long as the vitamin E is put on the affected tissues. When these same people go a step farther and use additional therapies, they get additional improvement that did not happen when just taking vitamin E.
It has been our experience that better results are achieved with a heavier or more aggressive therapy program; they “hit it hard.” Everyone must decide based on confidence in the therapy, finances, personal opinion, and desire to get well. So, the answer to your question is that you should consider using a larger plan because you are increasing your chances for a better end result if you follow a broader treatment plan. Your decision to use just one therapy like vitamin E is yours to make. The DCI philosophy is that it is more important to get results, than it is to see how little you can do and still get some results. 3. My Dupuytrens started almost four years ago, and only in my right hand. It progressed fairly rapidly so that now my ring and little finger are always about one inch from my palm. It has been like this for over two years. What do you think are my chances for getting some improvement? There is no way of knowing how anyone is going to respond to their treatment plan ahead of time. You just have to make reasonable effort to follow a reasonable therapy, for a reasonable amount of time, and see what happens. Even your own medical doctor who would perhaps treat you with medication or your own surgeon, both of whom would have direct and personal knowledge of your case, could not answer how you would respond to their treatment ahead of time. No one can predict response to most any kind of therapy. 4, What would you suggest I should do? I’ve got Dupuytrens in both hands, but my right is worse. There are a lot of things I can’t do because the ring fingers of both hands are flexed close to the palms, but I also have a general stiffness of most of my fingers. It’s been getting gradually worse for the last two years. I tried the medication my family doctor had me take, and I took vitamin E for a while like he suggested, but nothing really made a difference. What should I do next? 1. Go to the DCI website, and start reading and studying what you find there. 2.. Go to the PDI website (for Peyronie’s disease) and do the same. This is our sister website, because most of what is said about Peyronie’s disease also applies in a significant way to Dupuytrens contracture. There is more information on the larger PDI site, with more technical information about the various therapies and more editorial content also. All of this will help you to understand how we look at the treatment of Dupuytrens contracture, and perhaps it will cause you to see your problem and the treatment for it in a different way. Perhaps you will have a different way of thinking about your hand problem after you spend a little time educating yourself in this way. 3. If it makes sense to you, write a list of conservative therapies based on the understanding that you gained from your reading. 4. Talk to your doctor about trying these conservative therapies for your hand problem. 5. Make a commitment to yourself that you will follow your plan for at least six months. During these six months you will not be looking for a total cure; during this time you will just be looking for change and improvement in your condition. 6. You will not set yourself up for failure by creating unreasonable goals for yourself. We have seen too many people with Dupuytrens contracture and Peyronie’s disease who were so disappointed that there problem was only 25% better after a few months of care, when they had a goal of being totally cured, that they quit care. Our suggestion is that you do not have a goal of total recovery (even though that is possible), but that you just have a goal of seeing some level or degree of change and improvement. It is our opinion that so long as your condition continues to improve and change, then therapy should continue until it stops at whatever level of improvement you achieve. That will be your degree of improvement and success. It will be something that you would not have had unless you took the steps you did to help yourself in this unique way. It might not be total improvement, but it will be the best that your circumstances and efforts could achieve. 5. After almost three months of heavy treatment of my Dupuytrens contracture I noticed some really good improvement with the pain and stiffness in my hand. My fingers can almost straighten out completely now. Is there any need now to stay on that same program, or can I cut back on some of it? It’s getting expensive. We are pleased that you are doing better. Congratulations. How you handle your situation is entirely up to you. No one at DCI will tell you what to do or not to do with your therapy. The only thing we can do is to offer information; it is up to you to decide. All treatment decisions should be made after talking to your medical doctor, and then you can make a final decision. As a general statement, it is our observation that after three months of treatment, any changes you are noticing could be temporary. It seems as though that is not enough time for all the necessary tissue changes to occur, so you could be short-changing yourself to significantly modify the program that is working for you. We could be wrong in this regard, since we do not have the advantage of having seen you prior to your therapy, nor now that your contractures have changed. So this is just as more of a general opinion. You might want to consider staying on the very same plan — with no reduction or modification — for a least another three months or longer to determine the stability of the improvement you mention, as well as to determine if more progress is not possible. (In your question you make it sound as if there is not complete reversal of your problem, so we assume there could be more improvement to me made.) You will not know what level or degree of recovery is possible unless you try to do more. 6. I was given a diagnosis of Dupuytrens contracture a few years ago. The way my medical doctor explained it, I should just watch the nodules for a while and see what would happen. If it got too bad, he told me I could use some medication and it would be OK. So I just watched my hands slowly get worse, and when he tried using cortisone and then verapamil nothing happened. Now he wants to do surgery and I am not sure I want to because I have learned that the Dupuytrens often comes back after the surgery anyway. Since my condition has not changed much for the last year or so, do you think I should have the surgery or try some of the vitamins and things you sell? You should do what makes sense to you. You should take your spouse or a friend with you when to talk to your surgeon; ask your surgeon as many questions as you can think of, and then listen very carefully to the answers. You should realize that a fairly high percent (reports vary from 5% to 20%) of surgery for Dupuytrens contracture has to be followed up by another surgery several years later because of recurrence of additional contractures. This makes many people question the value of having the first surgery if it opens the need for a second surgery. Talk to your surgeon about this issue, and any other concern you have. You might consider this alternative strategy: Ask your surgeon if you could wait six months before having the surgery she suggests. During this time, start a heavy and aggressive plan of multiple conservative therapies for your Dupuytrens contracture, following the guidelines presented on this website. Be faithful and conscientious in doing all that you can to help yourself. If after this time of “hitting it hard” your hand is no better, then you reconsider your options with a different attitude about surgery. 7. I’ve had my Duper for about six years, and it is not really all that bad. Is it too late for me to try to do something for it? There is only one way to know for sure, my friend. You just have to try and see what happens. Generally, the older, the more chronic the condition, the longer and more difficult it can be before seeing improvement. Of course, that is not a rule; that is just a generalization that is often broken by simple and recent cases that do not respond at all, or cases of Dupuytrens contracture that are severe and longer standing than yours that do surprisingly well. It is just so variable and difficult to predict based on anything that we have used to try to make that judgment. If there is any one single factor that seems to determine success, it is not your age, it is not the age of the contracture, or how bad your contracture looks, or how bent your fingers are. It seems that the single factor that most influences success is the size or aggressiveness of the therapy plan and faithfulness to sticking with it. 8. If I get some of the same vitamins from the local discount store I can save some money. Do you think the results would be the same? Like we said above, “There is only one way to know for sure, my friend. You just have to try and see what happens..” Now comes the “big but”. ● You get what you pay for. ● There is no such thing as a bargain in health care. ● There is usually a good reason that more expensive things are priced that way. ● never look for a bargain in parachutes, fire extinguishers or surgeons. These platitudes and sayings that we have all heard a thousand times before are all basically true, but we tend to forget the truth they convey. One costs more than the other for some very obvious reasons. Since we are discussing getting results in a very difficult and stubborn problem that involves a very important part of the anatomy, it is safe to say that the end result is very important. If that is true, then it would seem that anyone would want to use the best products possible. The best products possible are not at the local discount store. Please note, if you compare prices for the therapy products that are available on the DCI website, you will not find a group of similar products for less. We discount our product to compete with the “big boys” who are low price Internet dealers. The difference — the huge difference — is that we will give you outstanding service and advice after you buy from DCI. That you will find is priceless. 9. I guess everybody says that their vitamins and things are so great, and that’s why you should buy them. There are a lot of good companies on the Internet selling pretty much the same enzymes and vitamins like you are doing, for about the same price. So what’s the reason I shouldn’t just go for the best price on the same products? There are many reasons. Here are a few of the more important reasons.Service DCI offers email support and assistance for the products and services we provide. We provide experience and interest in helping you with Dupuytrens. An Internet discount broker only takes orders. Just try getting some specific information about the vitamins or enzymes you are buying from them; you won’t learn a thing! This of course is nothing compared to the silence you will hear if you ask a question about Dupuytrens contracture. You can rest assured they will know absolutely nothing about your problem. DCI is here to help you with questions about the products we sell. We are not able to comment on products or situations that arise from other sources. We offer this as an extremely valuable service the others cannot possibly match. Quality and Quantity You must be very sure your lower price vitamins and supplements are the same quality and quantity as those we have available. For the purpose of improving your nutritional intake, you want every product to have not only a high dosage of the desired product, but you want the highest quality as well. If you want and need a Cadillac and then focus only on price, you might not realize you are actually buying a Yugo. Since you are on such an important mission, it is critical that you use high quality and quantity nutrients. You get what you pay for. With some products from some companies the label might say it has 100 mg of some ingredient, but how do you know for sure that 100 mg is actually in each capsule? Since all of this discussion ultimately is about your effort to clear up your contractures and nodules, this is an important question. DCI deals with huge companies that have earned established reputations in the health care industry. You can trust them, based on their track records and their leagues of satisfied customers. It is important to check labels carefully. Do a little math to determine how many capsules or tablets you need to take of your bargain product to get the dose you need. If you have to take twice as much of a product, that might explain why a product is being sold at half the price. Lastly, be sure that your bargain product is not going to cost you more in the long-run in terms of reduced effectiveness and disappointment. Sometimes a bargain turns out not to be a bargain.Convenience and speed The longer you take to start treating Dupuytrens contracture, the longer and more difficult treatment can be, and the likelihood of success deteriorates. Everything you need is here, in one place. You can get started today, and know you are using high level products from established companies that are leaders in their respective fields. At least 90% of the orders received by PDI and DCI are sent out the same day; try getting that kind of service from your bargain discounter. Not only that, but all orders are shipped via USPS Priority Mail that is scheduled for delivery in 2-3 working days anywhere in the U.S. Most orders are received in Europe within 4-5 working days. Value Compare our prices for the high level of quality and quantity of these particular formulations. DCI has a competitive pricing structure of which we are proud. You cannot find better products that deliver this Q/Q for the prices we have set. 10. A few weeks ago I noticed a sore spot near the center of the palm of my hand, and it is slightly raised. Does this sound like I have Dupuytrens contracture? Maybe, or maybe not. Without a history and examination form an experienced physician, it is not possible to say. You should get an appointment with your family doctor or a hand specialist to learn what is happening with your hand. If the diagnosis is Dupuytrens contracture, it sounds like an early phase of the disease. It would be very important to get an early start on an aggressive plan of conservative care to maximize your recovery. Please review all information about Dupuytren contracture treatment on the DCI website, and then discuss your ideas for a therapy plan with your doctor. 11. How often do you suggest I use the DMSO, vitamin E and copper solution you recommend? How exactly do I apply it? Application twice a day is generally well tolerated by most people. However, some folks are more sensitive than others, so you will have to determine how often you should use it based on your response. Go slowly; do not start out applying it six time a day. Once a day for a few days is a good way to begin. Slowly add one application per day, stopping at each new level of application for several days. At the first sign of irritation or discomfort (your hand is red and chapped) merely stop therapy for a few days to rest the skin. Then begin again at the level below the level that caused your skin to feel irritated. Over the long term you will want to use a daily dose that you can use comfortably for a long time. The three topical therapies — vitamin E oil, Super CP Serum (copper), and DMSO — are all applied in that order directly to the skin that is contracted and/or dimpled. Because only a few drops of each are applied at a time, one bottle of each of these products can last for 3-4 months, and cost only about $60. You can see that these topical therapies go a long way and are very economical. Gently rub in a few drops of vitamin E oil into the skin directly over the cords, nodules and contractures until you feel a slight resistance. Then gently rub in a few drops of the copper solution to the same area until you feel a slight resistance. Then place a few drops of the special preparation of the DMSO solution that is specific for Dupuytrens contracture and Peyronie’s disease, directly over that same area. No need to rub it in; the absorption is a chemical response. You should feel a slight warmth within a second or two as the fat layer below the skin is penetrated by the three solutions. Leave it to air dry for 20-30 minutes if at all possible. 12. How long after starting my treatment plan before I can expect to see some results? 1. Age of the individual. There is a tendency for younger individuals to heal faster and better, and older individuals to heal slower and less well. The older you are, the more important to use as many therapies as possible in your plan and prepare for a longer and slower recovery. It helps if the older folks try to be more stubborn than their Dupuytrens contracture. 2. Basic health of the individual is a very important factor. If you are a younger man (under 40 or so) but have been sick a lot in your life or have recently had health problems, your body and constitution might be as vulnerable as a 65 year old. In this case it could be all the more important to group as many therapies as possible into your plan and prepare for a longer and slower recovery. If you are 60 years of age and have good health, this will work in your favor. 3. History of prior injury. This could include direct injury to the hand, such as repeated heavy lifting, repeated compression to the hand, broken hand, cuts to the fingers and palm area. 4. Severity of the problem. The more damage and scar tissue there is, the more work the body has to do. 5. Duration of the problem. 6. Correct selection of therapy. 7. Correct and diligent application of therapy. 8. Reasonably aggressive treatment plan being used. All of these factors, and more, come together to determine how fast, how well − or if − your Dupuytrens contracture will respond to any treatment you use. 13. What therapies do you recommend at the start of treatment? The short answer is this: As many as possible. The DCI philosophy of therapy is all about the benefits of synergy created by using combinations of many different therapies for a multiplication of potential benefits. Two therapies are generally better than one, and five are better than four, and so on. As we say on the DCI website, you want to “gang up” or overwhelm the problem from as many different therapeutic directions at the same time as you can. As a general statement, it is good to use one or more internal and one more external therapies to support your tissue for maximum tissue response. External therapies are things like DMSO, vitamin E oil and liquid copper serum, or the use of acupuncture stimulation to the area. Internal therapies are things like vitamin E, MSM, PABA, systemic enzymes and others. 14. I used the vitamin E my doctor prescribed from the pharmacy when I first got my Dupuytrens cords a few years back, and it did not help. Doesn’t that show that using vitamin E won’t help me? Why should I try again with your vitamin E? 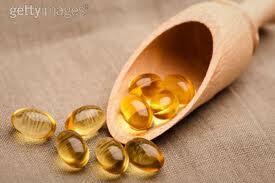 Not all vitamin E products are the same. Some are better than others. You really need to click Vitamin E, on the PDI website, where you can read about the huge differences between vitamin E products, especially those you get from the drug store. Those from the drug store are generally limited value synthetic products that often do not achieve the same therapeutic results of a whole natural vitamin E product. We are confident that the quality, and results, of the Yasoo vitamin E that we carry is superior to all others out there. It is natural for people to look for bargains, and perhaps you purchased a high-priced lower quality vitamin E that did not contain all the naturally occurring components that you needed. The vitamin E products available through DCI are high-grade products from the Yasoo Health Company, that is on the cutting edge of medical science and technology. The founder and president of this company, Dr. Andreas Pappas, is perhaps the most knowledgeable person in the world about vitamin E. We stand behind our vitamin E products without hesitation. For more information, click on Vitamin E. In addition, we hold the same confidence about all of our other products — that is why we make them available to you. 15. I keep on forgetting when I should take the enzymes and vitamins. How does that go again? 16. What is the most effective and important therapy to take for Dupuytrens contracture? This is the most common question we get and there is really no good answer to give to anyone, because there is no good way of knowing for sure and because that answer would be different for different people. Any answer would only lead you to think there is a special magic bullet or one therapy that is more effective or more powerful than the others. Anyone who has treated their Dupuytrens contracture successfully has an opinion about the one therapy they think contributed more to their recovery than the others that were also taking. The most important therapy is the one that addresses the most nutritional and therapeutic needs of the individual; and that is likely the one that contributed most to the cause of the problem in the first place. And there is no way that this can be determined, only a guess. The normal and full use of your hand or hands can be taken from you through Dupuytrens contracture progression. Do all that you can, as early as you can, to allow your body the best opportunity to reverse this problem. For ideas and suggestions to organize an effective Alternative Medicine treatment plan, click Create Dupuytrens Treatment Plan.